The Yungang International Hotel is among the very Best Hotels in the City of Datong. Located on a central spot in the Old City district the Hotel provides 4 star service and facilities and easy access to the old city monuments. The Modern Yungang International Hotel is located at a distance of some 3 to 6 kilometers from the New City where the only Train-station in Datong is found. Reach the Yungang Hotel easily by taking a Taxi Ride from the Station. With an Entrance at East Street inside the Old City, the Yungang Hotel conveniently located very near all Old City landmarks & monuments. Excursions outside the City can be easily arranged by hiring a Taxi for a Day through the Hotel Desk. or enter through the North side-entrance of the Yungang Hotel at 38 Dabei Street (=Main North Boulevard), almost in view of the HuaYan Monastery of Datong. a hairdresser & beauty salon, a pleasurable sauna and steam-bath facility, a hotel gift shop with souvenirs, snacks and some drinks and travel amenities. Ofcourse there are also a Bar, Nightclub and a daytime coffeeshop. The Hotel throws its own exclusive parties on National Holidays, and special events such as the Lunar New Year and guests get to share in the enjoyment and fun. The Yungang International Hotel is locally most renowned for its Dai Nationality Flavor Restaurant. However there are also plenty of Western Foods served, even in room service. A further addition to the Hotel Kitchen comes from its Cantonese Chef, responsible for a spectacle of seafoods and hot-pots from the Guangdong Province. A variety of other national flavors from Sichuan to Shandong taste complete the Mix. As mentioned the Yungang International Hotel is one of the most modern Hotels in the City. Renovated in 2005 and growing with the boom in travel to Datong City and its Great Wall "Pass City" it is now equipped with all modern business equipments necessary. In Room internet is available. Find more facilities at the Business Center on the ground floor with multiple computers available, internet- and data-links, fax-machines, and last but not least excellent postal & ems service. 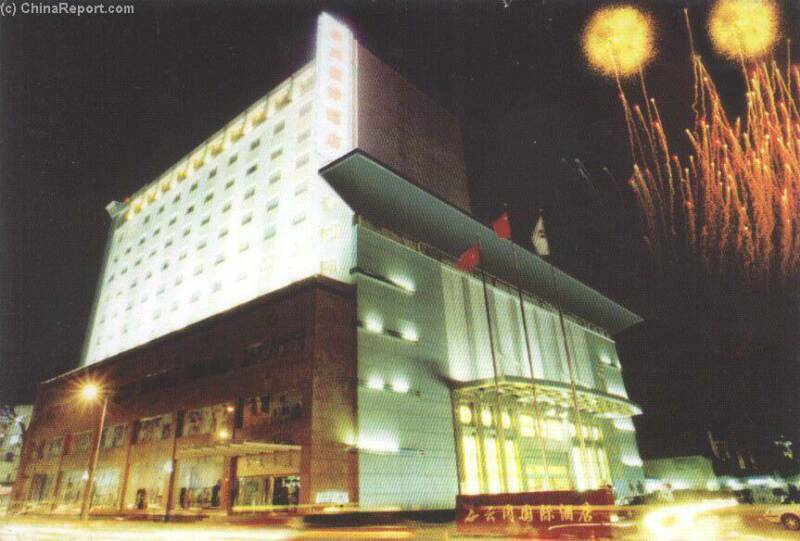 The Yungang Hotel was opened in July 1985 and was the first modern Hotel & Facilities in Datong. The Yungang Hotel in Datong currently has 167 ultramodern rooms, equipped with bath & shower and airconditioning. In-Room internet connection, cable and satellite TV and TV on Demand. Excellent room service and cleaning is provided. The Hotel has Several banquet rooms available for business-purpose meetings or the occassional local wedding. A variety of maller sized rooms are also available. A Luxurious meeting room at the Yungang International Hotel. 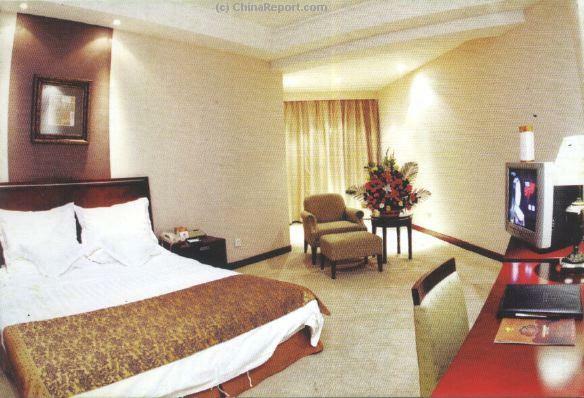 An example of a guest-room at the Yungang International Hotel. 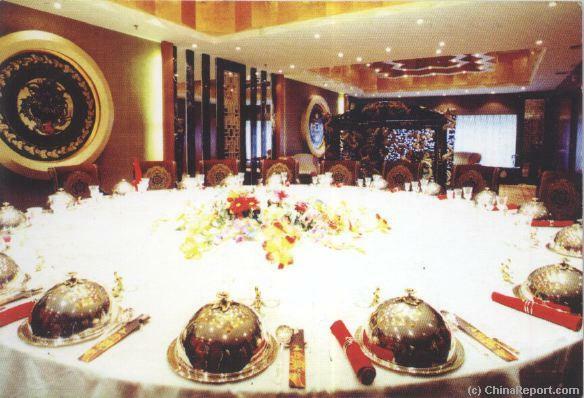 Grand Banquet Room at the Yungang International Hotel. View from the Yungang International Hotel onto DaBei Street in view of the HuaYan Monastery. Due to its location due North of both walled City Sections the Datong Hotel is a lesser location for those interested in easy access to Datong's Historic Monuments and Temples. 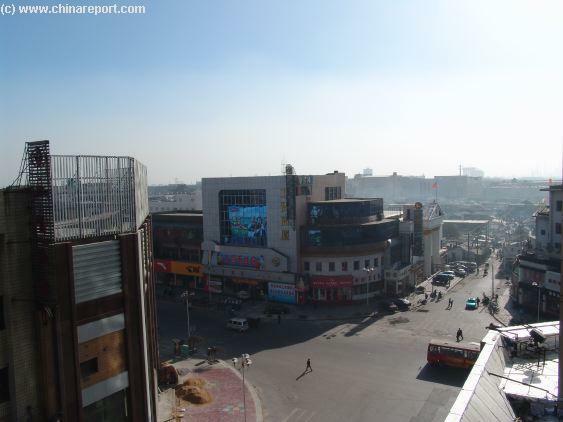 The Datong Hotel however is located nearest the Main Train Station (Datong West). Frontal View of the Yungang International Hotel in the new Center of Datong.